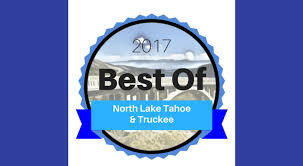 Listen to us on 101.5 Truckee Tahoe Radio! Our mission is to reduce the incidence of hunger and its detrimental effects upon individuals, families, the community and the region. In addition to providing hunger relief, we have developed programs designed to alleviate the causes of hunger and promote nutrition through education and awareness. Providing immediate relief to those experiencing hunger via weekly food distributions and food deliveries to homebound community members. Educating and empowering individuals and families experiencing hunger to identify and alleviate the causes of hunger. Mobilizing human and other community resources to advocate for the food insecure and low-income populations, alongside educating the community about hunger issues. Breaking the cycle of hunger and building a hunger-free community. To achieve our mission, we have developed a variety of programs to assist in alleviating hunger and identifying its root causes. A detailed list of our programs and how you can get involved is provided in Program & Services.